This guide is used to help people understand how to walk around the facility, including tips and tricks from yours truly (also i've benn playing this game since it came out in January, so I know a lot of old tricks). Not every hiding spot is perfect, so be careful. Hold C to walk slowly but quietly, hearing things is super important in this game. You can hide behind every corner in the game, especially those next to doors. Assume a random enemy knows your spot at all times, spectators often hunt down someone holding up the game so try not to stay in one spot the whole game. All doors make noise when you open/clsoe them, try to sneak past if there is an announcement or a firefight. Always check corners before you walk through a door, SCP's tend to hide there to flank the unprepared. The best way to find light containment is to find a four way intersection and follow the darkest path (doesn't work 100% of the time, if you find a dead end, backtrack and try to find another intersection and repeat), if shadows are off, try to follow teammates or brave it on your own. Finding Gates A and B tend to be difficult and can be mistaken with the Green gate that does't do anything, look throught the windows before opening (unless you don't have time to), but the Green gate has a green hue that can be seen from a relatively close distanct. The intercom room can be found easier if you hug the outer hallways as much as you can, and it has two hiding spots inside it, where people often hide, both right next to the intercom itself, hide or hunt there if needed. The Red rooms in the office area have literally nothing, however they can be hid in if push comes to etc. The Cabinet Room has two cabinet that can be searched if you hold E on them, and the cabinet on the floor can be jumped onto from the staircase railing. There are three Guard Keycards: one in the Nuke room, one in SCP-049's room, and one in the Server room, but sometimes one doesn't spawn but if you get one, you can get the Commander card in SCP-096's room. There are several areas that people can hide in within the Server room, under the stairs, behind the servers on the top and bottom, and if they are running away, on the tops of the bottom servers, which you can jump onto from the staircase once again. The 939 Spawn doesn't have much other than a good postion to snipe from (shooting into the other end of the room) and some stairs and pillars you (could) hide behind. 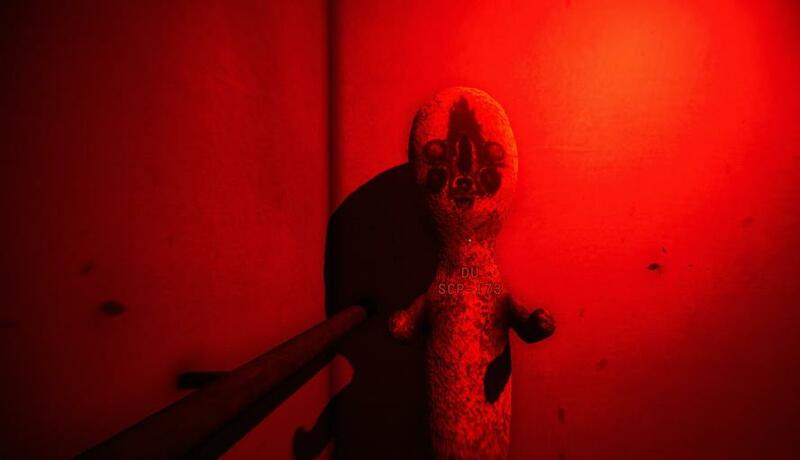 SCP-106's room has a lot of places to hide in, downstairs behind the cages, or on top of the server next to the Big Red Button, which you can jump onto from the chair, then to the desk, cabinet, and then server, which is a great place to hide in (no one ever looks up). SCP-049's room has some pillars you could hide behind but if you are being chased, hide behind the first corner out of the elevator, right as your pursuer turns the corner, run into/past them, into the elevator, slam that MF like button, and run like hell as soon as it opens. SCP-096's room has a cabinet you can clip into, but it's not a very good hiding spot. The Microroom has two spaces on each side you can hide in, do it when someone is being chased or is distracted. If you need to get past an enemy who is chasing you, there are protrusions in the walls of Light, so jump onto them and jump past them, a flying target is harder to hit. You can always hide in the D-Class spawn. 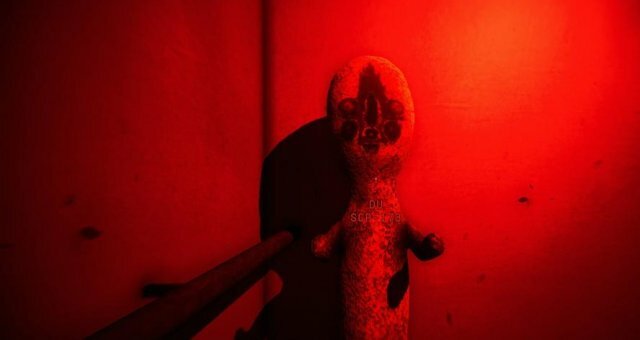 You can hide and find loot in both SCP containment rooms (don't worry there is nothing bad in there), however SCP-012's room is locked and Guard and Janitor cards don't open it. If you're looking for the gun, it spawns in one of 4 rooms, SCP-173's smaller room next to his, The Fake Upgrade room, SCP-012's room, or the Bathroom. the cabinet in the Fake Upgrade room can also spawn a MP7 (rare). The Upgrade room (SCP-914), used to have corners so dark that they hide players in them, don't do that anymore, it doesn't work anymore, instead, hide in the output if chaos ensues, the input can also work, but A. some servers have plug-ins so you die if it turns on with any setting, mainly Rough and Coarse, and B. people usually check in there to put cards. The Computer Room is full of desks you can jump onto, do so if you're cornerer and need to escape. The airlock rooms have a small area to the side that you can hide or flank in. Normal cards can spawn in the Bathroom, Fake Uprgrade Room, SCP-012's room, The Computer room, or on the corpses of Scientists, happy hunting! The Gun Locker has many guns, which Guards can access, that's it.